club penguin cheat | Club Penguin Cheats, Secrets, Guides & Giveaways! Oh No! This must be Herbert and Klutzy’s Attack! So i went inside…. Ahhh! It is! 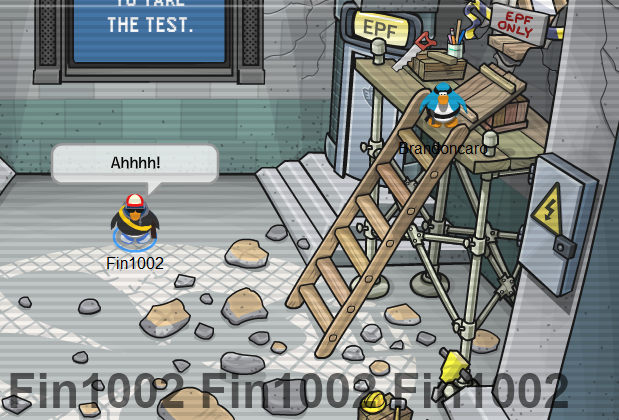 Hmmmm… its funny how the EPF test screen is still working! If you go up the ladder, you go into the room called ‘The Battle of Doom’, witch raised my heart beat up a little bit. When your inside the room, it looks exactly like the Dragon Fight in Ye Knights Quest 3, apart from the fact that there is a Laser Shield! That going to make thing harder! It’s strange that all of the other penguins are in the spot you arrive in when you enter the room, and they are not moving or speaking! Witch means you have to complete this challenge by yourself!!!!!! And another weird thing is that Klutzy is not there…. So where is he, probably gone to look for the dragons used in Quest 3! So then, we will just have to be patient untill club penguin realease the herbert and klutzy attack mini game. What do you think about all of this? Leave us a comment below and tell us! I have Returned from Exams! and Medieval Party Cheats! Yes that’s right my exams are over! I promised i would return 4 weeks ago, and here i am! 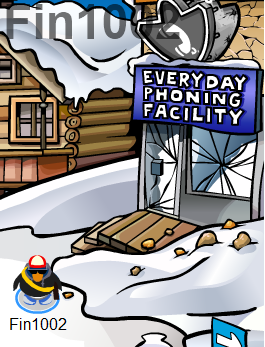 Any way, lets get straight into some club penguin stuff! NOTE: ON QUEST 3 TUTORIAL FOR THE DRAGON FIGHT….. IS WRONG, YOU ONLY POUR THE BUCKET OF LAVA ONTO THE BLUE DRAGON, SEE MY TUTORIAL BELOW ON HOW TO DO IT!!!! Red Dragon – Do not follow the shiny steps or you will have to automatically restart. Throw snowballs at him when he is ready to use fire and then you will see his health decreasing. Blue Dragon- You will see this pot of lava on top of his head and keep throwing snowballs at that when it is under the blue dragon then you will see his health decreasing. Another Note: The dragon fight takes along time, so be patient. A note to people who have slow computers: Go on a server 3 bars or below, or it will be very very slow. 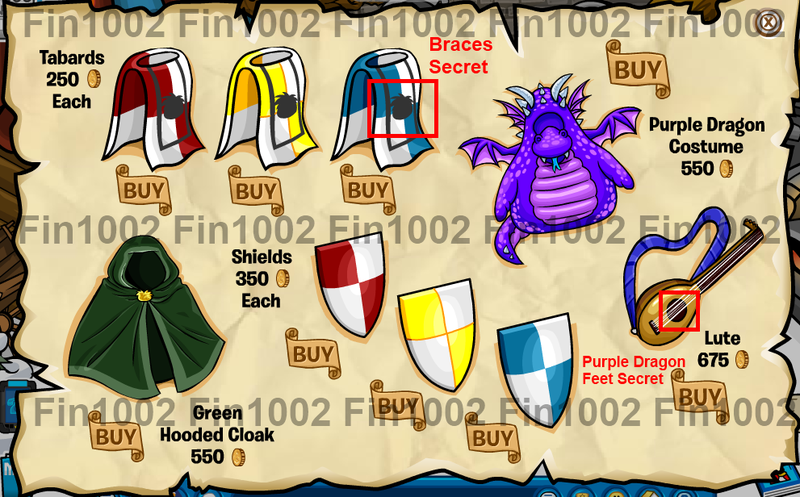 Once you have defeated the three dragons, go to the next room and get the final part to the new knight armour, and there is also a cool action that comes with it! So then, what do you think about the medieval party? Leave us a comment below and tell us! 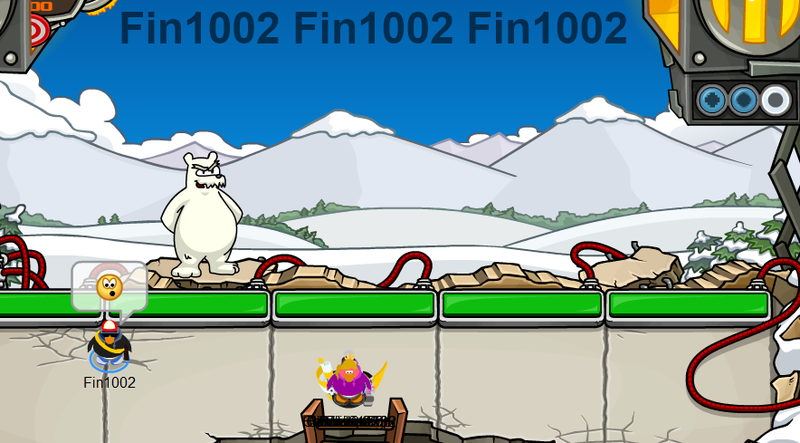 Waddle On ye old Penguins! 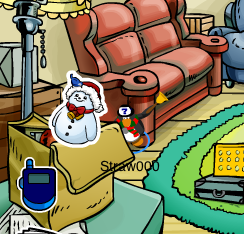 Club Penguin December 2009 Free Item: Santa Hat Cheat! !